Along the West Coast, lingcod fish are top predators — voracious eaters that aren’t picky about where their next meal comes from. 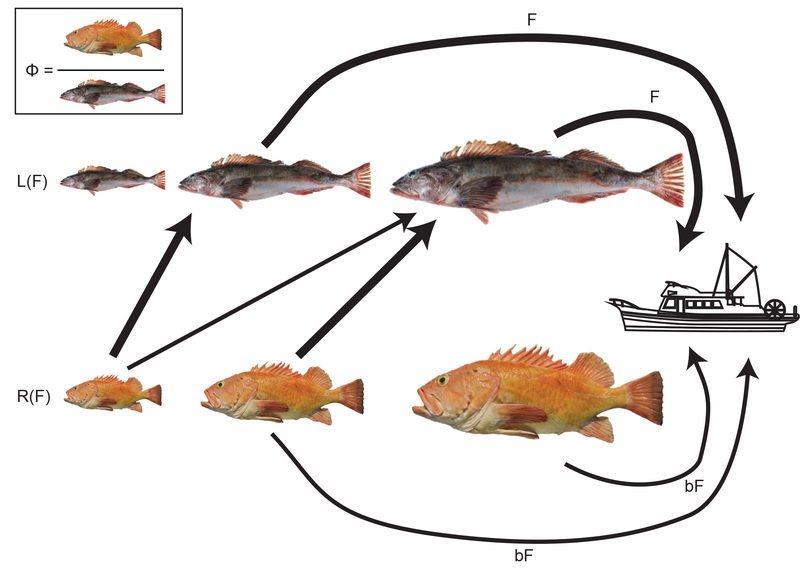 But lingcod in the Pacific Ocean used to be overfished, to the point where managers created protected areas for these fish and other depleted groundfish species, such as yelloweye and canary rockfish. 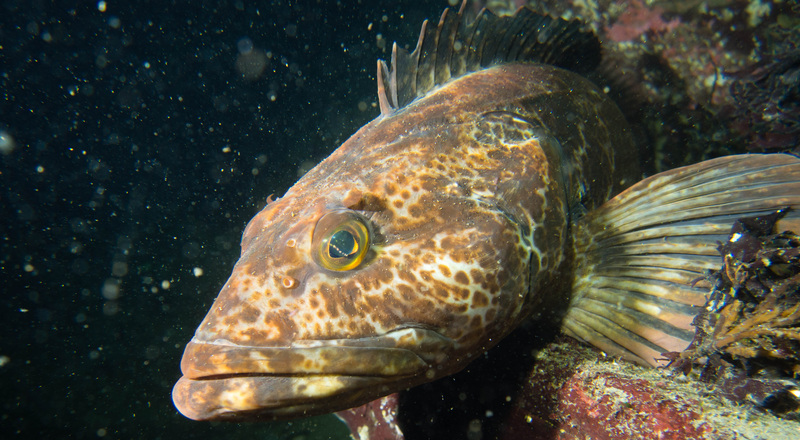 Lingcod have recovered well with commercial and recreational fishing restrictions and closures, called rockfish conservation areas, and now are benefitting from these “safe zones” where they can escape the net of a fisherman. 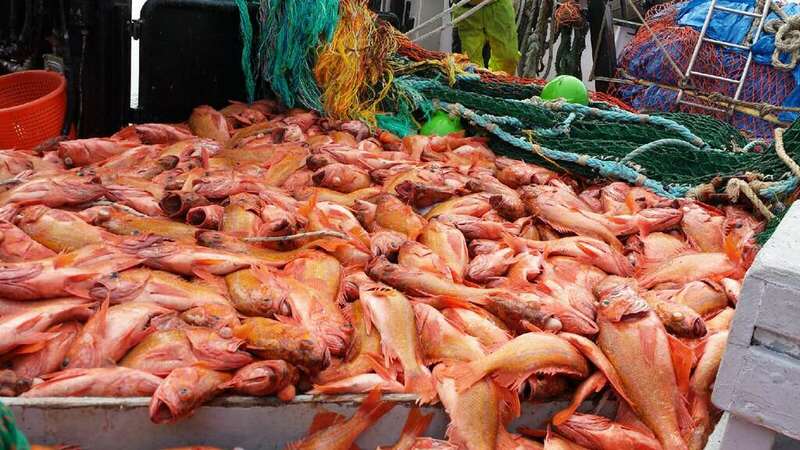 Alternatively, some rockfish species also designated as overfished haven’t yet recovered, even with vast fishing closures. Scientists at the University of Washington together with The Nature Conservancy and West Coast fishermen are hoping to find a win-win solution to this imbalance. Specifically, the UW looked at whether fishing for lingcod in closed areas using an innovative approach could still allow sensitive species to continue recovering. Their study, published this month in the ICES Journal of Marine Science, found that selectively fishing for lingcod in protected areas actually avoided hampering the recovery of other fish, including rockfish species listed as overfished. 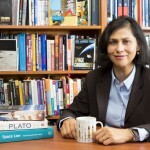 “If we can use our specific knowledge of the ecosystem, we might be able to manage these conservation areas a bit more creatively — and hopefully benefit both the fishing and fish communities,” said lead author Kiva Oken, a UW doctoral student in quantitative ecology and resource management. Since 2002, large swaths of the Pacific Ocean from Baja to Vancouver Island have been closed to trawl fishing, a method that pulls nets along the seafloor and scoops up a lot of unintended marine plants and fish species. 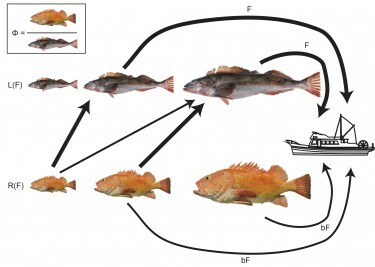 Trawling, while effective in catching an abundance of fish quickly, has had negative impacts on some groundfish populations, including rockfish species and lingcod. While fishing closures have helped to rebuild some species, others still flounder due to lower reproduction and growth rates. Robust species like lingcod also eat the juvenile fish of these slower-growing species, further defeating their chances of recovery. The UW scientists examined this predator-prey relationship between lingcod and rockfish to see if allowing lingcod fishing in rockfish conservation areas could take some of the pressure off of rockfish and let small juveniles grow bigger and stronger to rival lingcod. Their models showed that modestly fishing for lingcod in these areas using different, more selective gear could avoid harming rockfish. It would also benefit fishermen and could bring more tasty fish to the market. “This is about the ability to actually use a resource that’s out there — lingcod, which is now a really reproductive and healthy stock,” said senior author Tim Essington, UW professor and associate director of the School of Aquatic and Fishery Sciences. The UW researchers caution this is a pilot study to explore a different approach to ecosystem management, and more information must be collected before the conservation areas could support fishing. It’s critical to understand lingcod diets, including how much rockfish they eat and what size is palatable. The idea to use a different method to catch lingcod without bothering other fish came from fishermen in Ilwaco, Washington, who approached The Nature Conservancy with their proposal. 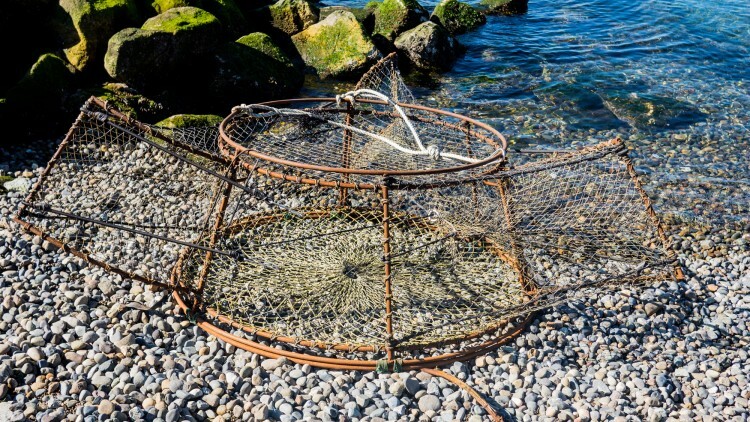 Together with input from fishermen in the area, ecologists from The Nature Conservancy have developed a lingcod trap that looks much like a crab pot, but with some added measures to allow lingcod in and push out other species that swim into the trap. The organization asked the UW to model the population-wide effects of introducing a limited lingcod fishery, which formed the basis for this study. Pending permits, ecologists hope to test the new gear in lingcod-heavy waters along Washington and Oregon next year. They currently can’t test the new gear in conservation areas that are closed to use of pot gear, where concentrations of lingcod are higher. Additionally, scientists at the National Oceanic and Atmospheric Administration will continue to study the diets of lingcod to better understand their feeding habits. 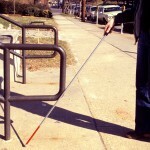 This research was funded by The Nature Conservancy. 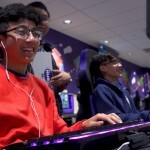 For more information, contact Oken at okenk@uw.edu. Contact Toft with The Nature Conservancy for more details on the new lingcod gear in development at: jtoft@tnc.org.